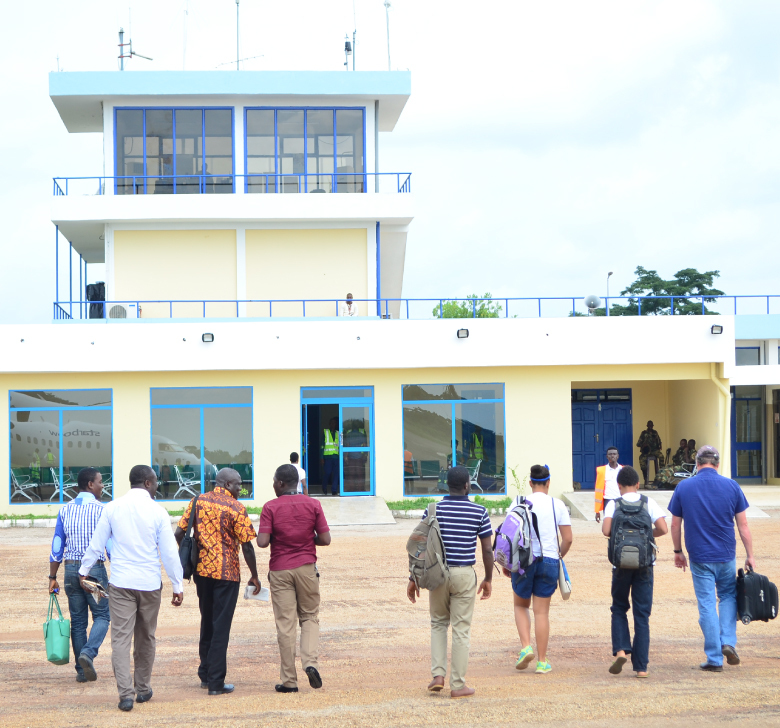 Sunyani Airport dates back to 1942, when a communication outpost and aerodrome was built for the use of Allied Forces. However, before the end of the war, the airstrip was abandoned. In 1969, the Busia Government seeing the need for an airport for Sunyani initiated construction work for a full airport. This was completed and officially opened on13th July 1974, by Col. P.K. Agyekum, the then commissioner for Transport and Communications. In line with GACL's program to rehabilitate and upgrade all airports, Sunyani Airport terminal building has been expanded to accommodate modern x-ray security screening equipment. Plans are far advanced to rehabilitate the runway as well as other enhancements.